Who sinned first—Adam or Cain? Primeval Murder. The Bible recounts that Cain murdered his brother Abel. Gustave Doré’s illustration shows the moment after this deed has been committed. In antiquity, some believed that this was the first sin in the Bible—and how sin and death entered the world. The Wisdom of Solomon is one text that expresses this view. To answer the latter question, today people would probably debate whether Adam or Eve sinned first, but in antiquity, it was a different argument altogether. They debated whether Adam or Cain committed the first sin. John Byron of Ashland Theological Seminary explores ancient interpretations of the origin of sin and death in the Bible in his Biblical Views column “Who Sinned First—Adam or Cain?” published in the July/August 2017 issue of Biblical Archaeology Review. So, who sinned first in the Bible? According to the Book of Genesis, Adam and Eve were the first humans. Cain was their first son, and Abel their second. The majority of Biblical interpreters—throughout the ages—have considered Adam and Eve’s disobedient act of eating the forbidden fruit (Genesis 3:6) as the first sin in the Bible—the moment sin and death entered the world. However, in antiquity, some believed that Cain’s murder of his brother Abel (Genesis 4:8) was the first sin; certainly, this was the first human death in the Bible. The apocryphal Wisdom of Solomon is one text that expresses this view. Original Sin? This scene by Adolf Hult depicts Adam, Eve and the serpent in the Garden of Eden. Most would consider Adam and Eve’s disobedient act of eating the forbidden fruit as the first sin in the Bible—the moment sin and death came into the world. John Byron explains that in the Wisdom of Solomon’s interpretation of Genesis, “neither mortality nor bad consequences resulted from Adam’s sin. Rather, Wisdom saved Adam, and his sin is glossed over.” It is Cain who rejects Wisdom, sins and ushers in death. To learn more about the ancient interpretation of Cain as the first sinner in the Bible, read John Byron’s Biblical Views column “Who Sinned First—Adam or Cain?” in the July/August 2017 issue of Biblical Archaeology Review. 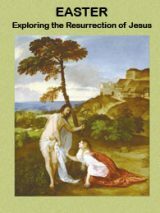 BAS Library Members: Read the full Biblical Views column “Who Sinned First—Adam or Cain?” by John Byron in the July/August 2017 issue of Biblical Archaeology Review. God gave mankind the first commandment in the garden of Eden he said “of the tree of the knowledge of both good and evil THOU SHALT NOT EAT of it, for in the day that thou eat thereof THOU SHALT SURELY DIE. OK in Romans 5:12 Paul says the blame squarely with Adam for sin and death entering the world. Wherefore just as by “one man” sin entered into the world and death by sin; and death passed upon all men, for that all have sinned. When you read this its obvious who responsible for sin and death entering the world. But the last part of that verse “and death passed upon all men, for that all have sinned”. Has been interpreted as meaning that death passed to all men because of their personal sins? But that is not what Paul is saying at all because right after that Paul says :(for until the law “came” sin was in the world but sin is not imputed where there is no law. When Adam sinned he broke Gods commandment that had been given to him personally from God, apart from Eve nobody else broke that specific commandment. And the law of God had not yet been given to men and so where their is no law sin is not imputed (charged against people) if sin is not charged against people it is not their sin causing their deaths. It was Adams sin that caused their deaths. How? When Adam and Eve sowed into their bodies that which was forbidden they became corrupted with forbidden knowledge and as a result of that corruption God banned them from the only source of eternal life that existed on the Earth the tree of Life having been banned from the tree of life it would that they would eventually die. But when Adam and Eve were cut off from the tree of life which caused their death so were the rest of mankind cut off from it also and they therefore would also die. Cain and Able had no access to the tree of life so they would die to, and so it is with the rest of mankind they to were cut off from the tree of life and so die. Adam was the seed carrier of all mankind but Adam has been corrupted with the knowledge of both good and evil something that God told him not to do, now everything reproduces after its own kind having its seed within itself, Adams seed is corrupted and so everything he reproduces will be corrupted also and so only rightly they will also have no access to the tree of life which would have enabled them to live forever. So we see again why in Romans 5:12 Paul lays the blame for sin and death entering the world at the feet of Adam, Eve was not the seed carrier so she is not held responsible for sin and death entering the world as she has no seed with which to propagate it further. Reading the rest of Romas 5:12-19 we see that the one man Adam is held responsible for all the ills that have befallen mankind because of his disobedient behaviour, but God has then put everything right through another one man his own Son. The second Adam as he is often called. Romans 5:12 Wherefore, as by one man sin entered into the world, and death by sin; and so death passed upon all men, for that all have sinned: 13, (For until the law sin was in the world: but sin is not imputed when there is no law. 14, Nevertheless death reigned from Adam to Moses, (before the law was given) even over them that had not sinned after the similitude of Adam’s transgression, (had not broken a commandment of God) who is the figure of him that was to come. (Jesus Christ) 15, But not as the offence, so also is the free gift. For if through the offence of one “Adam” many be dead, much more the grace of God, and the gift by grace, which is by one man, Jesus Christ, hath abounded unto many. (Notice here it is Adams offence that has caused the death of many not theirs) 16, And not as it was by one that sinned, so is the gift: for the judgement was by one to condemnation, but the free gift is of many offences unto justification. Again notice the judgement was by one “Adam” to condemnation, what was the condemnation? it was death by what Adam did. 17, For if by one man’s offence death reigned by one; much more they which receive abundance of grace and of the gift of righteousness shall reign in life by one, Jesus Christ.) Again notice that its the one mans offence Adams that has caused death to be reigning over everyone else. But much more those who receive an abundance of grace and the “gift of righteousness” shall reign in life “eternal life” by one Christ Jesus. This next verse 18 couldn’t be anymore clearer, “Therefore as by the offence of one “Adam” judgement came upon all men to condemnation; even so by the righteousness of one the free gift came upon all men unto justification of life”. Its was Adams one offence of breaking God command that caused judgement to come upon “all men” and in the same way the righteousness of one man Jesus Christ has caused the free gift of justification “righteousness” to come upon all men that entitles them to eternal life “if they receive him as their saviour” from their corrupt sinful condition. than Gods righteousness is imputed to then is charged to their account. Why does God do this for mankind? 19, For as by one man’s disobedience many were made sinners, so by the obedience of one shall many be made righteous. God does this because it was the offence of one man Adam eating from the forbidden tree that caused all mankind to be corrupted with a sinful nature he made the many to be sinners by his disobedience even so by the obedience of another man Jesus Christ shall many be made righteous (by placing their faith in him) For he died to free us from the law of sin and death and his death covered Adams offence and all ours in Adam. 1 Corinthians 15:22 As in Adam all die (that’s us we were all in Adam) even so in Christ shall be made alive. The Judgement upon men is that they were in Adam when Adam sinned and were corrupted with a sin nature and were sinners from birth and so sin. God could not allow any of us access to the tree of life in that fallen corrupt state as we would have lived in that fallen corrupt state forever. As will those who are not born again as Jesus said was required to even see the kingdom of God. A mas sinful corrupted spirit must be born again regenerated by the Holy Spirit of God we must be born again by incorruptible seed the second time. When our spirit man is regenerated born again by the spirit of God our spirit man is sealed by the Holy Spirit that was promised us. We are vacuum packed and all the goodness is sealed in. Our flesh is not born gain “the flesh profits nothing” it is the spirit that is quickened “made alive”. That which is born of the flesh is flesh but that whih is born of the Spirit is spirit. Grace and Peace in Jesus name Alan any comments are welcome. Interesting how Adam preferred Abel’s offering of meat, (with Abel been the cattle farmer) over Cain’s offering of crops. Do we see a Law of Karma taking affect here with his feelings of envy and with the killing of his brother? 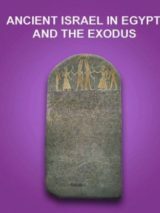 The definitive answer is found in the Book of Jubilees, which from a frequency standpoint in Dead Sea Scroll discoveries was sixth behind Psalms, Deuteronomy, 1 Enoch, Genesis, and Isaiah. See http://www.sacred-texts.com/bib/jub/index.htm. Note that the Fall occurs BEFORE Cain killed Abel. Of course, you will require this from the DSS as well: http://www.haderech.info/DSS/Calendar/4Q319.pdf. I think there may be a difference here between and original sin .didn’t God question it by saying who told you that ?.and satanic spiritual infusion .when God asked about able Cain lyed and then there was the murder of able .these two sprits are from Satan .he was a lyer and a murder from the beginning. Were did Cain get this ? Not God ! Now it’s everywhere .like a plague . and there’s the order from God not to harm Cain and obvious killer . was it because God knew he was a victim of Satan ?. I agree by two or three things a thing is confirmed. A pattern of communication and confirmation . not confusion . like a type of crystal growing keeps to the same construct . the beginning and the end …the aleph and the tal…the fire by night and the cloud by day…Adam and Eve… The silver and the gold in the temple… The water and the blood out of his side..faith that works by sacrificial love. We over come him by the blood of the lamb and the word of. God in our speech.logos..the two pillers in front of the temple one named Boaz the other cloud .all the pathways of God truth and mercy . to believe with the heart and speak with the mouth .the Yom the I’m…cloud by day and fire by night. The golden pomegranate bells on the priests robe .the mix of colloidal gold from Moses grinding the calf to dust and the moving water .water being living water the word and sprit of God the gold tuning the water red a symbol of blood or sacrifice .two gether reflecting God’s spirit ..
A Jewish belief is that Adam and Eve didn’t actually sin in eating the fruit. By so doing, they were indeed cast out of the Garden, but it was in order to create a world of accomplishment. In other words, that we would have to struggle against a world that conceals godliness to get back to the Garden. The other option was to remain in the Garden for eternity as lotus-eaters, perpetually following orders and achieving nothing for ourselves or for God. And that’s why we’ve never believed in “original sin”. Because it wasn’t. If a young student were to come up to me and ask for a recommendation on which to read from the Bible: Joshua or Wisdom of Solomon, what should I say? of Judaic philosophy under the same authority over a millenium later. As to the issue of where or when sin issued into the world and by what agency, I’ll pass on that for now, since it’s a discussion that’s tied us down for centuries. But the matter of whether the Wisdom of Solomon is a legitimate source for discussing Biblical meaning or content, I disagree with the previous correspondents. I believe it is. It is to many, if not the majority, an inherent part of the Bible. Here is a brief description of it from on line encyclopedic entry. “The Wisdom of Solomon or Book of Wisdom is a Jewish work composed in Alexandria (Egypt) around the 1st century CE, with the aim of bolstering the faith of the Jewish community in a hostile Greek world It is one of the seven Sapiential or wisdom books included within the Septuagint, along with Psalms, Proverbs, Ecclesiastes, Song of Songs (Song of Solomon), Job, and Sirach. It is included in the canon of Deuterocanonical books by the Roman Catholic Church and the anagignoskomenon (Gr. ἀναγιγνωσκόμενον, meaning “that which is to be read”) of the Eastern Orthodox Church. While admittedly since the 19th century, Deuterocanonical books have disappeared from Protestant Bibles, obviously they are inherent in Jewish and Christian Bibles – in their tables of contents. If the label “Deuterocanonical” suggests a different level in a hierarchy of scripture – well, I have often heard it argued that there are hierarchies among angels or messengers of God. But at the very least, it gives an indication of what the Judaic community was thinking at the time of Christ about their religious heritage at one of their centers of learning where they were printing and distributing scrolls. tests by casting doubt on ideas and then attempts to verify or else using evidence it poses hypotheses. It’s pretty sad when an individual works at a “Theological Seminary” tries to rewrite the Bible based on apocryphal writings that were obviously incorrect. To judge whether an apocryphal passage is fact or fiction, it must be weighed against all other evidence found in the Bible. If both versions agree, then that passage is true. If it does not agree and attempts to change doctrinal issues found in the Bible, it is fraudulent, a fiction created by its writer from their own personal and biased opinions based on clear misunderstandings of the doctrine. John Byron’s claim that was the first sinner is completely contrary to the teachings of the prophets from Adam to Malachi, and from Jesus and his Twelve Apostles. It is this type of contradiction that confuses believers and misleads them away from the truth. Apocryphal writings do contain portions of the truth but they must be carefully scrutinized before blindly accepting them at face value. Lol Satan lied to eve.But in Isai, God tells of Lucifer in the Garden of God,(Eden), adorned in Jewels as bus clothing sparkled like diamonds on Sapphire. His Ego took hold and God cast Satan out. First sin was Lucifer attempt to rise above God. Too many issues with this. The Wisdom of Solomon is not authoritative as far as we know but that’s not the biggest issue. If you read the text it says nothing about Cain’s sin being the original sin. How can I claim this? The text clearly says Adam already trangressed…duh! Also the earth was flooded because of mankind’s sinfulness…nit because of Adam’s sin so that’s not even an argument to be made. So what if Wisdom says the flood was due to Cain murdering Abel, it still never says that was the original sin. The actual first sin was by Eve, but mankind was doomed because of Adam’s sin. It’s in Adam that all mem die…not Cain. Why would someone use Edgar Cayce to explain the Bible – all that he did was to destroy the bible as the Word of God; Same with the author of the Wisdom of Solomon. This is not a valid commentary on the meaning of the Bible, and the only purpose of the Wisdom is to divert our gaze from the One True God unto the writer of the wisdom. Jesus commented that Sin came in by Adam, Paul say the same, wouldn’t these two voices carry more weight that some anonymous author whose goal in writing was only to discredit the Bible?